Anna and I planned a nice weekend with a combination of work and relaxing. We arrived pretty early on Friday afternoon but as it was windy 15 ms we decided to stay in the harbour. We went to bed early and Anna start sleeping at 8pm but I continuing reading before I decided to try to start sleeping at 9 pm. Bug mistake as I woke up several times during the night and finally decided to go up at 6am. I did some work before I woke up Anna at 8 am. After lunch our friends Nettan and Micke arrived. We went by engine and sail to smogen. During the journey Anna and Nettanshareda bottle of Champaign so they were In good shape when we arrived. We had a prawn lunch and when me and Micke had coffee the girls went shopping ending up in a bar. 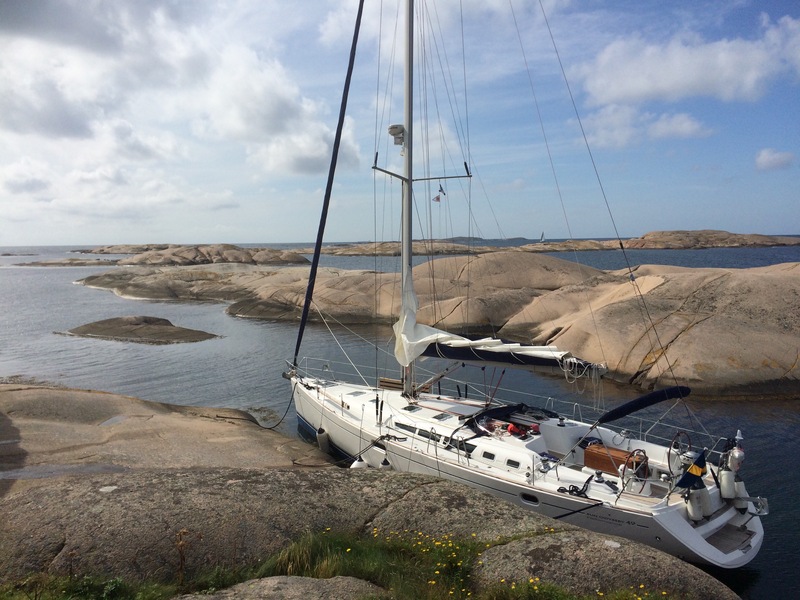 When sailing back we went off shore and Micke and Nettan did the steering. The evening was relaxing. Sunday starting with some work before we set course towards bonden island in a bit bumby sea. The wind was approx 7ms and the sky was blue I.e great for sailing. We decided to check if spiltan was free from boat and we were lucky, we got the best place alongside. We ate our lunch relaxed for awhile before sailing back. As always – a great weekend.